War on Terror brings modern precision-strike warfare to real-time gaming. At the dawn of the new century, peace is a forgotten relic of the past. Secret terrorist groups have united into a single deadly force and launched lethal assaults in major metropolitan areas around the globe. Their agenda is unknown, their attacks are precise and deadly. In December 2006, a multinational strike force called WOFOR (WorldForces) was created to stop this threat. Its first mission, Operation Kimberly, was a failure and China pulled out to follow its own policy against terrorism. 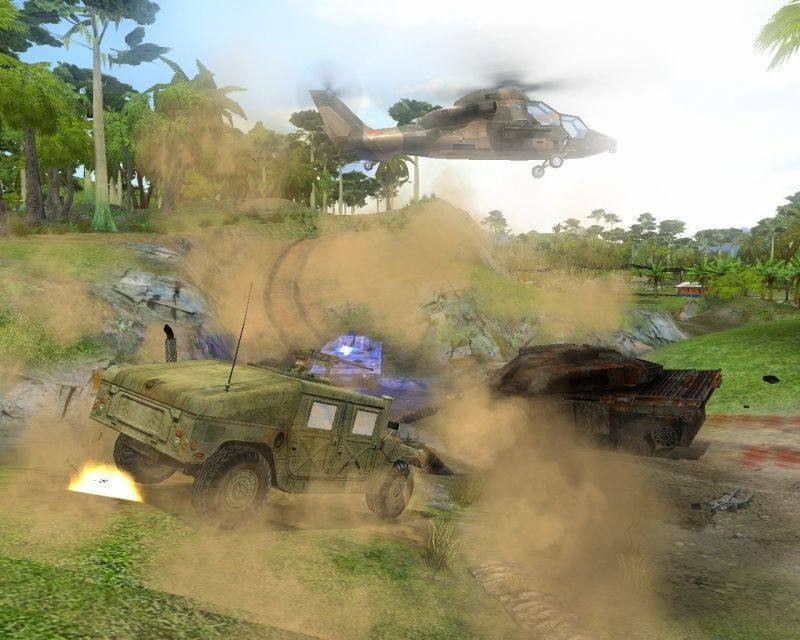 Now, it's up to players to destroy the terrorist threat and set the course for decades of peace through 30 missions in real locations around the world, players battle vicious enemies. Real settings. Real weapons. Real anti-terrorist warfare. But in the age of modern war, reality is not always what it seems. With these powerful words, make sure you have a powerful computer system in order to fully appreciate the graphics behind this addictive and entertaining title because as you progress, the game becomes more and more intensive. At first it handles well but once the action gets full swing you’ll feel the strain. With good reason though, zooming in on the units is pretty cool as they are all modeled well with the armoured units looking damn nifty I say! It uses the latest in graphics features, so don’t be surprised if you find yourself turning a few off to get a better run at the game! On the tutorial mission based on Alcatraz, you get to fire up a British Challenger 2; complete with Scottish accent. With water realism set to on, prepare to enjoy another piece of graphical eye candy. For those with aging game machines I would advise you turn that off too as in the end it’s for aesthetics only, and considering your time will be most spent on land it doesn’t really matter. Explosions, gunfire, smoke, your all purpose fire – all of it looks great and illustrates the general chaos just begging to consume the current situation. Sound, what can I say? Nothing as I can only type this review …so what can I type? It’s good; the effects to each vehicle and gun are as they should be. It’s better to play the game with EAX on (if possible) as the atmospheric feel can be an experience to behold. Copters buzzing about, tanks rolling across whatever desert you’re thrown into in the name of war and the screams of troops. Sadly there’s no blood gurgling to be heard, giving a less than convincing death yodel from fallen enemies. Another mild amusement is the varied languages and accents, playing as the World forces incorporate British, American, French and probably others to make up your squads and units voices. Okay so how does this terrorising bad boy play I hear you shriek? For those looking for some Command & Conquer style action, you will be disappointed here as there are no bases or resources to handle in the usual gathering sense. Instead you are awarded mission points (MP) for completing Primary, Secondary and any Hidden mission objects that come your way. This is easily explained within the tutorial, where you’ll soon learn that additional troops are 'bought' and then dropped into battle at drop points. You can only bring in more men at these points, so you have to look after them or the enemy can easily cut off additional support. All hail the medic! They are truly a savior; they can quickly heal your men after a fire fight and have you ready and able again. They also revive fallen troops, so when a man is down he isn’t necessary dead and gone just yet, but make sure you hurry otherwise his wounds will finish him off! Most units have passive and special actions under their command. A passive power for instance could be mine detection, now while they will detect mines it doesn’t mean they will automatically disable them! Units also have stances such as the expected 'aggressive' one where your units will engage enemies hard. 'Defensive' will be returning fire only; they even come with sneak so they will try their hardest to go unnoticed. Each mission in a campaign allows you to carry over units from the previous, so when you’re quite the way along your surviving veteran units will be all the more valuable, resourceful and deadly. As I had the campaign set too easy (What? I ain't a girl!) I can’t speak extensively on the AI, but from what I have experienced it’s good! The computer knows how to yank up pressure, now the campaigns will of course be heavily influenced by scripting but the 'brains' of the enemy is great for a challenge. For strategy games, AI is everything as if the enemy is nothing but a lame duck then you can’t boast the next day how much you 0wned them! In the gaming World 0wnage is everything! Also available for those instant action types out there is the map generator, so you can a long replay life cycle with this one. 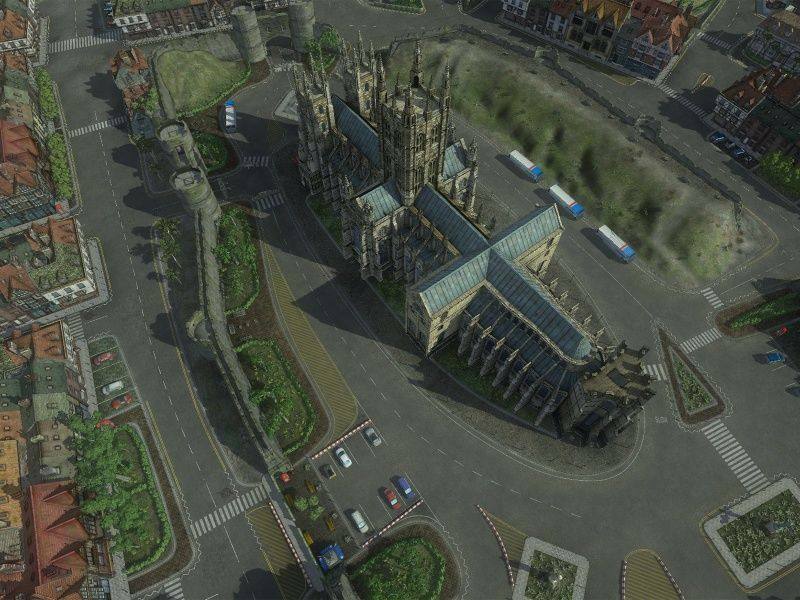 For those map making overlords out there too, a map editor is included. Now for a bad point, well I’d say more of a not-so-good point is more accurate. The User Interface is perhaps the least inspiring, plus it’s too big and eats up the screen even at higher resolutions. Also be careful when rotating and tilting the view as if you move too quickly you could find yourself discovering a new angle previously uncharted! 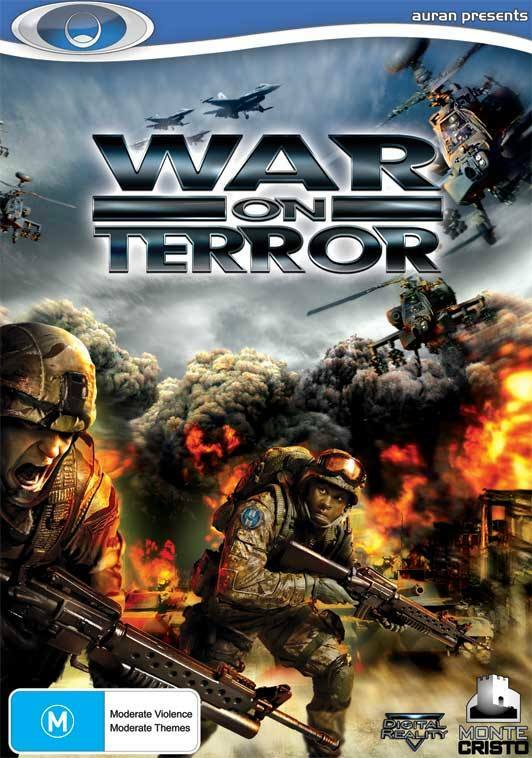 With that said, War on Terror may feature a few bugs here and there but it's a powerful game that will draw you into this amazing world of great graphics, gameplay and pure adrenaline pumping fun. Check it out!